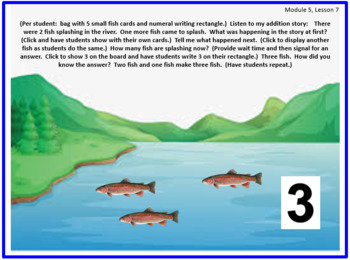 Eureka Math is a free curriculum that can be found at GreatMinds.org. I did not write this curriculum. I am selling my time and creativity in creating a PPT supplement to help teachers teach the curriculum and manage their class time. 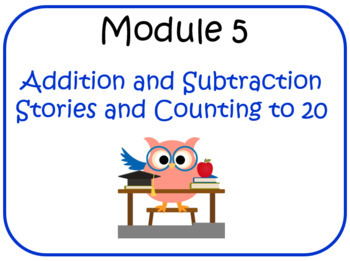 This is a PowerPoint resource that will help you teach Module 5, Lessons 1-15. Lessons include "I Can" statements, Fluency activities, Concept Development, Problem Sets (when applicable), and Debrief questions. These slides will keep you from having to keep your module book open during the lesson. 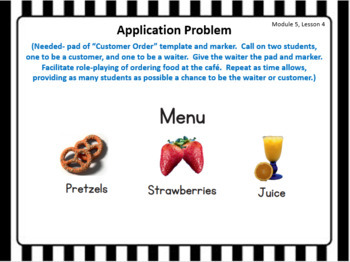 They include the prompts you need as the teacher and are also student friendly. If you purchase, be sure to preview each lesson in slide show. Some slides contain text boxes/objects that appear/disappear/move with a click of the mouse. These slides may look jumbled in design mode. I began making these PPTs to help with time management. When I first started teaching the modules, I had a very difficult time getting it all in, Concept Development took up most of my class time, and I had to keep my module book out at all times. Now, I am able to teach within the time given for Concept Development, I don't have to keep my nose buried in the book, and my kids love math!